Make Money Ways Online ! Easily insert BSA code block to your WordPress article through the PHP code. Ability to automatically place ads into posts/pages and widget sidebar. Able to detect various ad network. 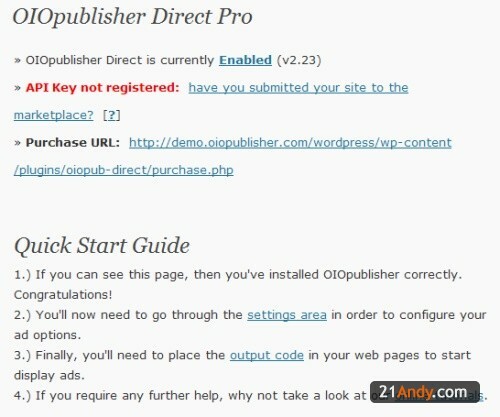 Call ads through PHP call or through the “[ad#name]” on your blog post. Ad limitations by author, category, tag, page type, and much more. One of the most popular WordPress advertisement manager. If you are running a multi-authors blog, then you probably need this plugin. It is a good revenue sharing plugin for different authors. Various configuration can be done through the admin page. 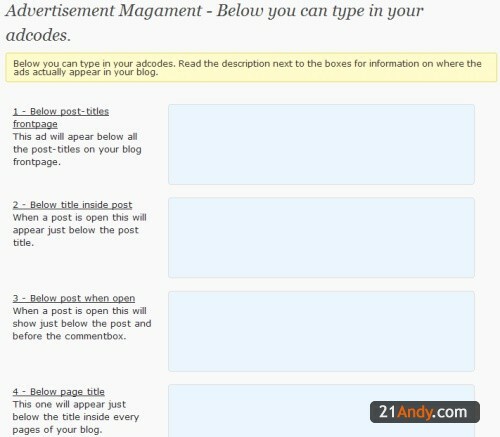 For example, you can configure how author see their “My Advertising” page. This is the place where they insert their ads code. Able to support multiple ad network. The code block support any HTML code, but not PHP. Adrotate is a powerful WordPress Advertising plugin that lets you create and manage your banners easily. In order to create banners, you have to create a group first, then add banners to the group. For people who doesn’t really familiar with it, you can use the “Banner Wizard”, which guide you step-by-step to create banner. Able to set banner expiry date. WordPress Dashboard widget to show you the summary. Easy integration to WordPress template. Define 10 sets of ad code. Automatically inserted into the article. Able to show ads at different location:- Top, Middle and Bottom. Exclude ads at single post through the configuration page. OIO Publisher is an Ad Manager that gives full control of your ad space. 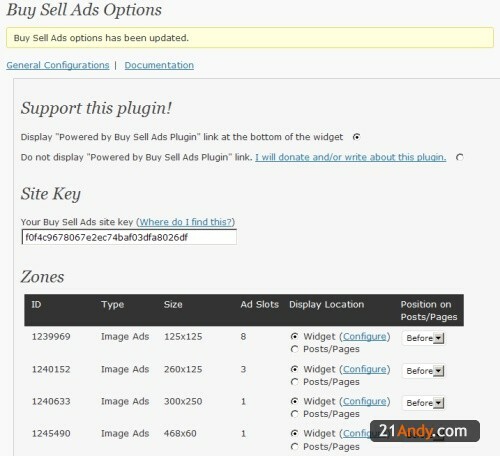 You can define the ad space, and the plugin able to handle the selling process completely automatic. However, it is a paid plugin, which is the reason people don’t go for it. But if you are serious about your website advertising and looking for great plugin, you should consider it. Own complete control over the ad space. Automated sale and ad serving process. Get exposure through the free ad marketplace. Injected code can be placed at either before, middle or after the content. PHP code allowed in code block. 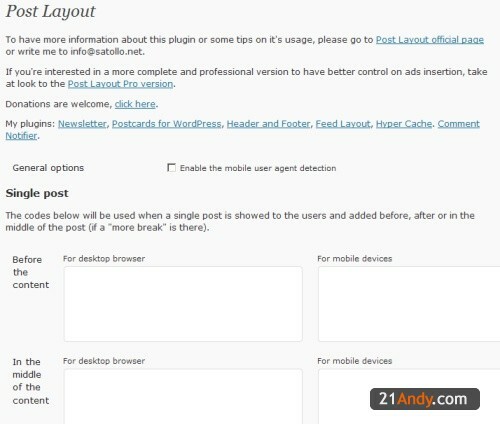 Target the injected code at different places such as Single Post, Page, Home, Tags and Categories page. Detect mobile device and surf another set of ads. 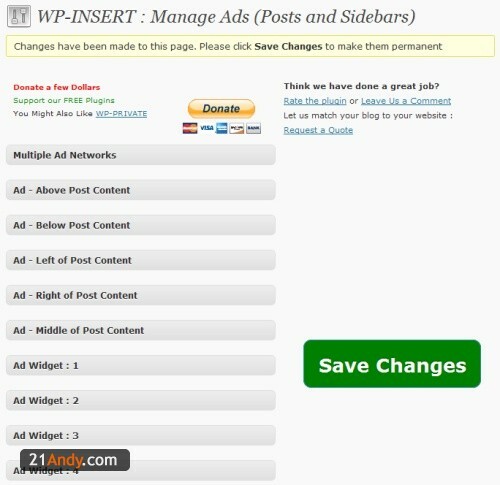 Wp-Insert is more than just a simple ad management plugin. It is able to manage your feeds, Google Analytics, blog editing and even make editing your themes easier for you. Insert ads at different position in post content. 10 ad widgets at your disposal. Exclude ads for posts through the configuration panel. One of the feature that this plugin doesn’t have is to set banner expire date. 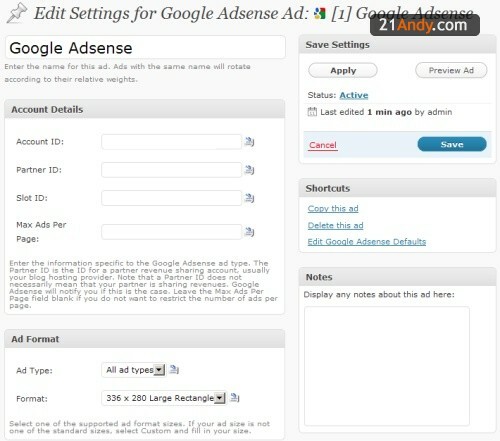 So i would say it is good for you to insert Adsense or banner that you probably want to display permanent. WP125 able to manage and display banners in either one or two columns and inform the administrator once the banner is expired. Although it is not the most powerful Ad manager plugin, but there are some really unique features that make me love it. Inform the administrator x days before the banner expire. Able to choose one or two columns ads show. 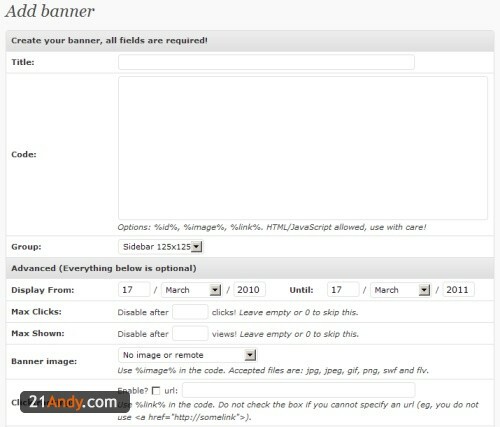 Customization of banners is allowed. Define your own default banner and ad sale page. Specify number of banners and also the displaying order. 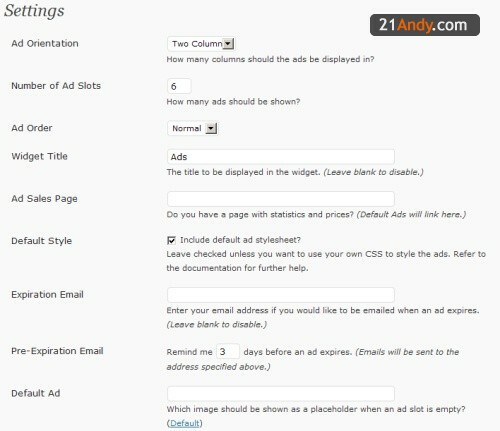 Ad-minister helps WordPress users create banner easily by defining your “position” for banners. In order to use this plugin, you need to define your “position” by modifying your template file. After you define your position, you can start adding banner( they called it “content”). Installation and configuration require some investigations and reading at the documentation, but indeed it is a good plugin. Define your own “position” for both template or widget. Configure/customize banner for each post through custom field.